The new Whiteboard collaboration app is now downloadable for Windows 10 and is coming to iOS in a few days. Along revealing a new free plan for their Teams app, Microsoft has also announced a new Whiteboard collaborations app. It is available for Windows 10, and is coming to iOS on Thursday, according to Microsoft. The app allows users working either in person or remotely to use a stylus, keyboard or finger to share notes, graphs, shapes and images among their group. There is also a web preview, and an Android version will be available “in the future”. 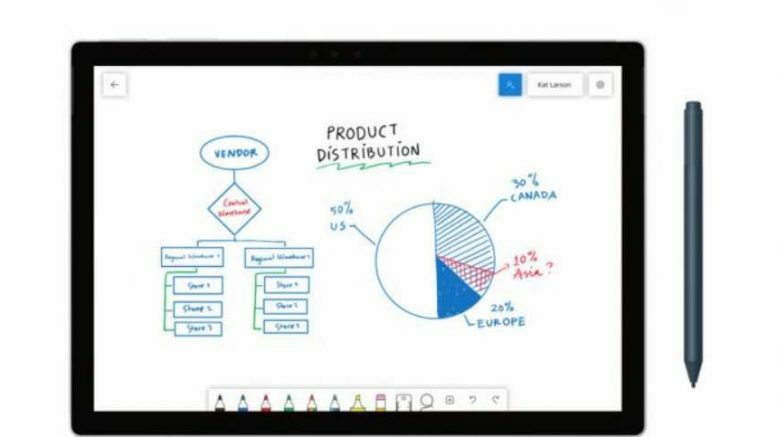 Be the first to comment on "Microsoft introduces Whiteboard collaboration app"